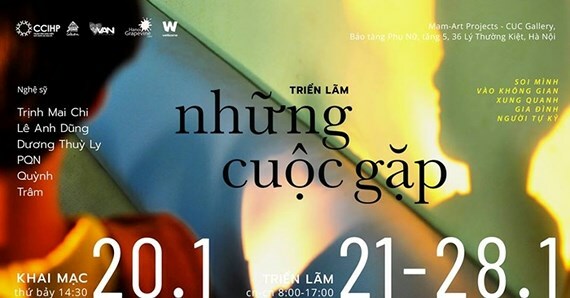 An exhibition featuring photography, video, audio and installation works of the life of people with autism will open at Vietnam Women’s Museum in Hanoi from January 20-28. The event features art works by young artists come from various backgrounds. Three of them have an older siblings with autism, including Trinh Mai Chi, PQN, Quynh; and three have passion for photography, Le Anh Dung, Duong Thuy Ly, Tram. T . The exhibition is a part of a participatory research in autism through visual arts. The display called “Encounters” opens a space of images, colors, words, and voices full of characters and styles about the diversity in the life of people with autism. The artworks took shape through a process of discussing, exchanging personal stories, and also through reflections on each other’s works and practices. The event will also include discussions, art tours and workshops. These activities aim create an open space for public dialogues about autism and related issues, from medical and social perspectives as well as through visual arts, among families of people with autism, researchers, practitioners, artists and anyone with an interests in autism.